Steppenwolf is a Tony-award winning theatre company located in Chicago's Lincoln Park neighborhood. The theatre company has helped launch the careers of well-known actors including Gary Sinise, John Malkovich, Joan Allen, John Mahoney, Martha Plimpton, Glenn Headly, Nick Offerman, Gary Cole, Terry Kinney, Kathryn Erbe, and Laurie Metcalf. Steppenwolf continues to work with critically acclaimed talent, in addition to building the careers of aspiring and mid-career playwrights. 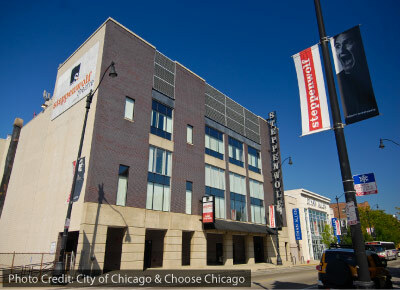 The Steppenwolf space currently provides three stages: the Downstairs Theatre, Upstairs Theatre, and The Garage. Recent and current productions include Good People, The MotherF**ker with the Hat, and The Birthday Party. Convenient parking for the Steppenwolf Theatre Company is available at the following parking locations. Click the location address to see more information about that parking location.